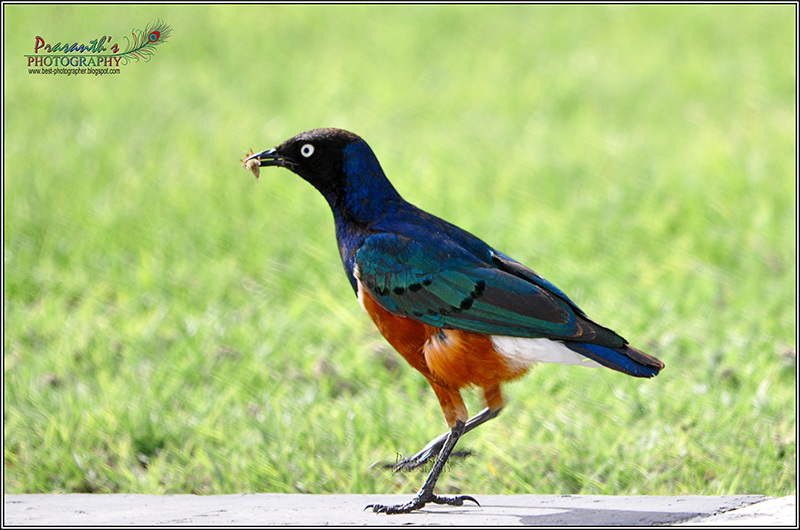 The Superb Starling (Lamprotornis superbus) is a member of the starling family of birds. Commonly be found in East Africa.Listed in Category E (released/escaped birds, with populations not considered, self-sustaining) among UAE birds. Good one dear..I always love to see bird photos.. Perfect shot - my friend. Junaith - Thanks,me too.I love to watch them. Imac - Thank you very much. @Panchali - Thank you very much for your visit and comment.I have always noticed that you are very much interested in nature/wildlife photos.Thank you once again for comparing this photo with the professional wildlife photographer Vadim Onishchenko's image. As one of my friend was asking over the phone about this shot, I would like to clarify, this is a hand held shot @500mm with slight panning as the bird was walking. നല്ല ചിത്രം പ്രശാന്ത്. മലയാളം ബ്ലോഗര്‍മാരില്‍ പക്ഷി നിരീക്ഷകര്‍ കുറവായിരുന്നു. ചിത്രങ്ങള്‍ക്കൊപ്പം വിവരണം കൂടി ചേര്‍ത്തത് വളരെ നന്നായി.